Mangore | Bellucci Guitars - Andrew Lloyd Webber, "I Don't Know How to Love Him"
Andrew Lloyd Webber, "I Don't Know How to Love Him"
I remember the day when I first heard the song. I was only 11 and I had been playing the classical guitar for 3 years. 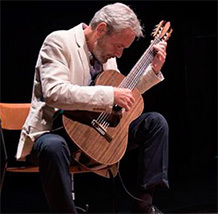 Back in the day, it was unthinkable to divert from the strictly "classical repertoire" and I would have never dreamt that today, over 40 years later, I would offer the piece to the world on my classical guitar website. Needless to say the movie was quite controversial but it was no exception since no film regarding the life and death of Our Lord Jesus Christ especially when you think that the Hippie culture was in full strive back in the day, plus, it si not usually pious people that produce and or direct these movies. I consider "Webber's song to be one of the most beautiful melodies ever and it finds its way in the deepest corners of my soul.